The Lawyers’ Committee filed a lawsuit today on behalf of Latino voters against the Madera Unified School District (MUSD), charging that the school district’s at-large method of election is racially polarized and violates the California Voting Rights Act of 2001 (CVRA). The suit challenges the school district’s discriminatory voting system and seeks to protect the Latino community against vote dilution. MADERA -- The Lawyers’ Committee filed a lawsuit today on behalf of Latino voters against the Madera Unified School District (MUSD), charging that the school district’s at-large method of election is racially polarized and violates the California Voting Rights Act of 2001 (CVRA). The suit challenges the school district’s discriminatory voting system and seeks to protect the Latino community against vote dilution. Latinos constitute approximately 44% of MUSD’s voting eligible population. Yet, only one of the current school board members is Latino. And over the past 25 years, no more than one Latino has ever occupied a seat on the board. This is a result of MUSD’s at- large voting system, which along with a racially polarized electorate, has repeatedly resulted in a school board with little or no Latino representatives despite the significant Latino population in MTJSD. The at-large method of election prevents Latino residents from electing candidates of their choice or influencing the outcome of school board elections. The Lawyers’ Committee recently sent letters to 25 school districts encouraging them to voluntarily end their practice of at-large elections or risk litigation. Approximately 90% of the school boards in the state are elected at-large. Enacted in 2001, the CVRA allows voters to challenge at-large voting systems that are characterized by racially polarized voting patterns. Once racial polarization is demonstrated, the voters can then demand that the jurisdiction convert to a district system, generally thought to provide minority groups a greater opportunity to influence elections and elect candidates of their choice. The CVRA applies to any governing body for any jurisdiction, including but not limited to, a city, a school district, a community college district, or any other district organized pursuant to state law. The suit against Madera is one of the first cases to be filed under the CVRA. The Lawyers’ Committee litigated the first two matters filed: one case against the Hanford Joint Union High School District successfully settled, and the other case against the Modesto City Council ultimately reached the U.S. Supreme Court, where the constitutionality of the CVRA was upheld. In thc Modesto case, the city paid $3 million in attorneys’ fees. Private practitioner Joaquin Avila is also co-counsel on the case. The text (above) is from Anayma DeFrias at the Lawyers’ Committee for Civil Rights of the San Francisco Bay Area. Robert Rubin is Legal Director at the Lawyers’ Committee for Civil Rights of the San Francisco Bay Area. 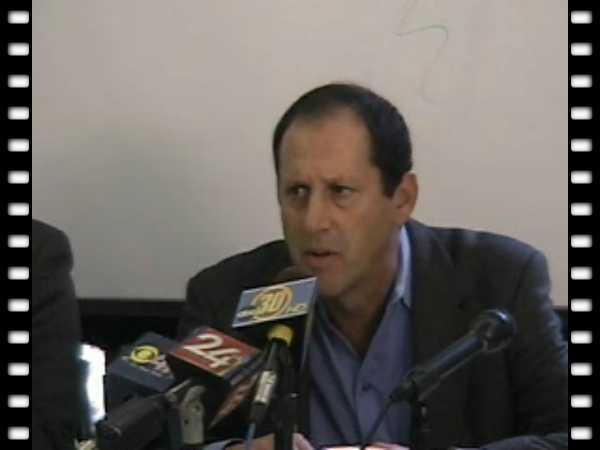 This Press Conference was held on August 21, 2008. Video and photos by Mike Rhodes. The text (above) is from Anayma DeFrias at the Lawyers’ Committee for Civil Rights of the San Francisco Bay Area.